Here’s how we’ve helped other Couples just like you. Are you willing to bet your future on it? 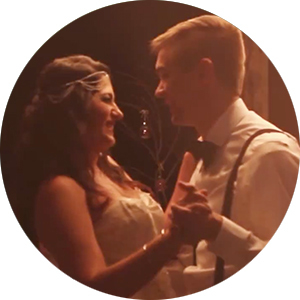 One of the biggest regrets we hear from Brides is not hiring a videographer. There’s quite a bit that Photos don’t capture with the Vows being the most prevalent. Professionals aren’t just skilled at their craft but giving you the space you need. We’ve heard multiple times that our brides felt like they forgot we were there while still capturing everything they wanted. We really try to blend into the background and ensure you guys are relaxed. We give you the room you need and the coaching if needed. We truly have a lot of experience making brides feel composed.